The year 2011 is said to be the year of the tablets as many tablet PCs ranging from low-cost to mid range to high-end have been launched this year. 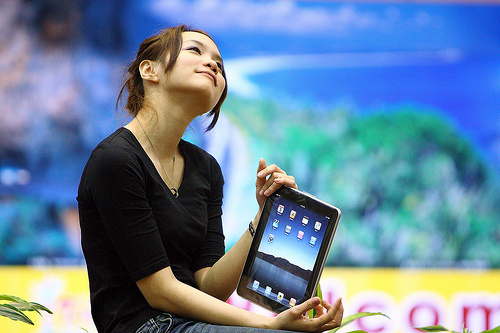 Though many tablets hit the market, but all tablets were not able to impress users. Thus we have come up with a list of top 10 tablets that are not only feature-rich but have also managed to attract users' eyeballs. Apple launched the second generation of the world's best selling tablet computer, the Apple iPad, this year. Named iPad 2, the new iPad is is skinnier, faster and slightly lighter. It comes with cameras for video chatting and snapping photos. The iPad 2 looks much like the first iPad, though it has a sleeker, lighter body with a curved back. Among the most noticeable changes is the inclusion of cameras, one on the front and one on the back. The new iPad has Apple's new dual-core A5 chip, which helped applications open more quickly than on the older iPad. Add to that a new version of Apple's iOS software. The new processor and the new iOS combined to improve Web surfing. It has a 9.7-inch LED-backlit glossy widescreen multitouch display with IPS technology. Price: In India, the iPad 2 with Wi-Fi costs for Rs 29,500 for the 16GB model, Rs 34,500 for the 32GB model and Rs 39,500 for the 64GB model. 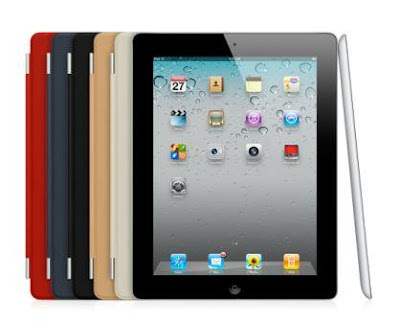 The iPad 2 with Wi-Fi + 3G is priced at Rs 36,900 for the 16GB model, Rs 41,900 for the 32GB model and Rs 46,900 for the 64GB model. Sony launched two new tablets this year - Tablet S and Tablet P. Both the tablets are equipped with Android 3.2 operating system(OS) and a 5 megapixel camera. The tablet S is wedge-shaped, with one side thicker than the other. The tablet's 'throw' feature enables users to wirelessly sync tablet with DLNA compatible devices including PCs, Bravia televisions and others, thereby allowing them to share and play files - audio, video and images - on bigger screens. 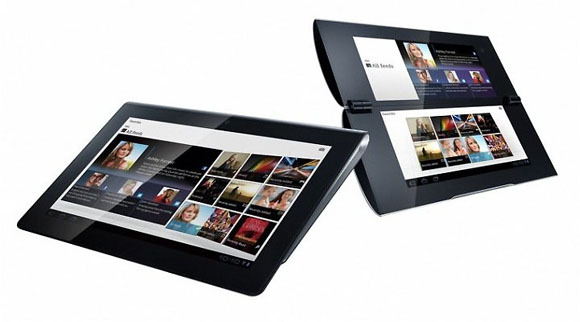 On the other hand, the Tablet P has a folding design for enhanced handling and use. The Tablet P has dual LCD touchscreens - each measures 5.5-inch - thereby allowing users to watch video on one screen while using the other to control it, or checking emails on one screen while using the other screen as a keyboard. These tablets are PlayStation certified. Price: The tablet S comes in two variants - 16 GB Wi-Fi only model and 16 GB 3G + Wi-Fi model, which cost Rs 29,990 and Rs 33,990 respectively. 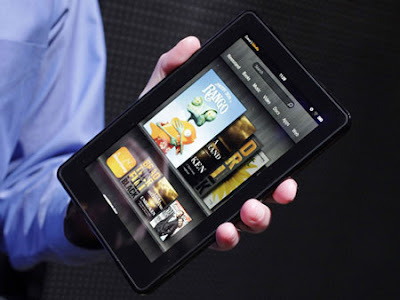 Priced at Rs 36,990, the Tablet P will be available in the Indian market by mid January 2012. The tablet falls under this category because it is the ultra-low-cost tablet launched this year. 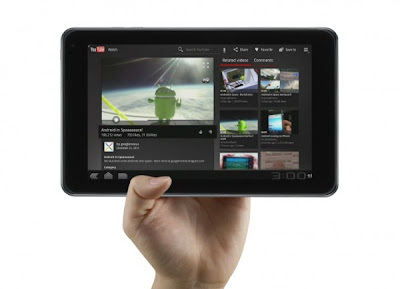 Powered by Android 2.2 (Froyo) OS, the 7-inch tablet has a resistive touch screen. 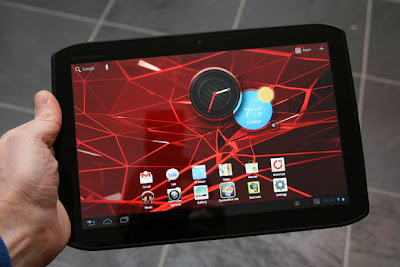 The tablet weighs 350g and has 256 MB of RAM. The device has a Arm11 – 366Mhz microprocessor and a 2100mAh battery. It supports only Wi-Fi network. 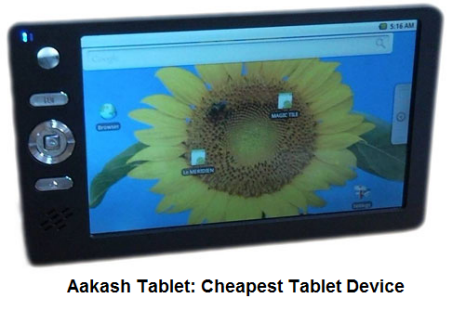 However the upgraded version of Aakash, called the Ubislate 7, is scheduled to be launched late January. It has a Cortex A8 – 700 Mhz processor compared to the 366 MHz processor in Aakash. Running Android 2.3 OS, it will include a 3200 mAh battery. The device will support both WiFi and GPRS networks. The Kindle Fire is the first full-color, touch-screen Kindle. It's more of an all-purpose computer than an e-reader. It shows movies, TV shows and Web pages. It does email and lets you play games. It's amazing that it costs half of what the first Kindle cost, just four years ago, yet does so much more than display books. Amazon says the Kindle Fire doesn't need more memory because the company provides an online storage locker, where users can stuff all your music and other content. The device is low-cost, but still includes a lot of features. Barnes & Noble's earlier Nooks were dedicated book-reading devices, and the tablet is at most a half-way step into the world of general-purpose tablet computing. The Tablet has a 7-inch touch-sensitive color screen. The Nook has some features over the Fire. It has a faster processor and more memory for software operations, which means faster Web browsing and magazine page-flipping, longer battery life and twice as much storage space. 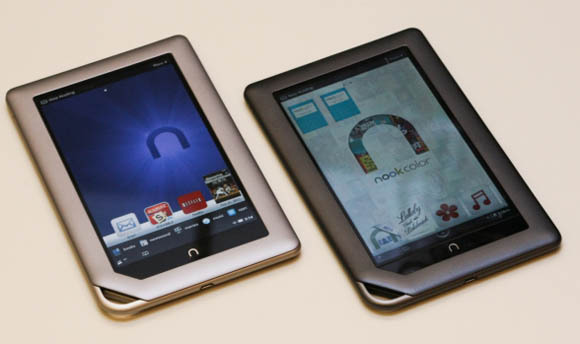 The Nook Tablet has 16 gigabytes that can be expanded to 32 gigabytes. 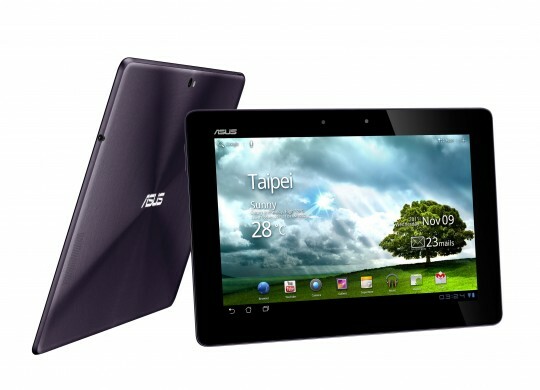 Powered by Android 3.2 OS, it has a 10.1-inch LED backlight WXGA (1280x800) screen. the device has a 1.2 megapixel front camera and an 8 megapixel rear camera. it is claimed to be the world's first first Quad-core CPU tablet. It can be transformed to notebook mode with a full QWERTY chiclet keyboard dock. It comes in two variants - 32 GB and 64 GB. Motorola launched a successors to Xoom, its first Android tablet. Named Motorola Xoom 2, it has the same 10.1-inch widescreen HD display and Android 3.2 Honeycomb like its predecessor but comes with a brighter display. The Xoom 2 is 100 grams lighter than the original Xoom and is also water resistant thanks to a splash-guard coating. It is compatible with the optional Motorola Stylus that is great for note-taking, hand-writing emails and sketching. It is powered by 1.2GHz dual-core processors and come with 1.3 MP front and 5 MP rear-facing HD cameras with digital zoom, auto focus, and LED flash. It comes with with 1GB RAM and 16 GB of internal storage. 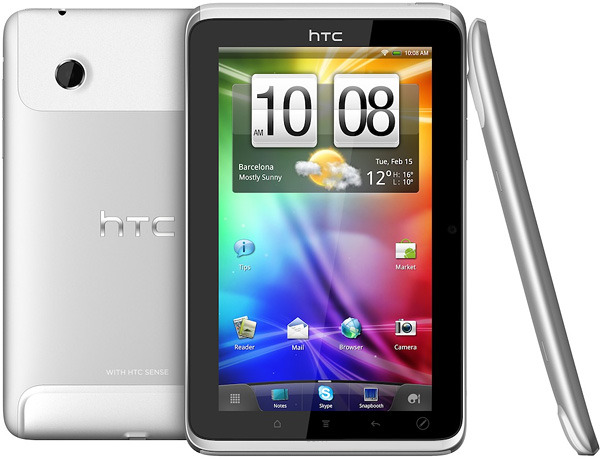 HTC launched the seven-inch touch screen tablet HTC Flyer, which has a 1.5GHz Qualcomm Snapdragon processor. It has 1GB of RAM and an in-built memory of 16GB and a 5-megapixel camera. The device also has features like HTC Sense, HTC Scribe and HTC Watch, which provide a better visual, touch and movie-viewing experience to users. 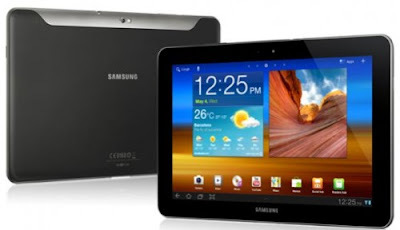 Samsung launched a second tablet computer with a bigger screen and more processing power than the original Galaxy Tab. The Galaxy Tab 10.1 is touted to be a multimedia hub for aficionados of games, electronic books and social media, with a 10.1 inch screen, dual surround-sound speakers, and front- and rear-facing cameras. The tablet, with two core processors (1GHz) to better handle media, is based on the latest Google Android platform, Honeycomb - which has been optimised for tablets. It has a 3 megapixel rear and a 2 megapixel front camera. It has a 8.9-inch high-definition touchscreen and is powered by a Android 3.0 OS. IT has a NVIDIA Tegra 2 Cortex-A9 Dual Core 1GHz processor. The Optimus Pad has a front-facing camera for video conferencing, and a 5.0 megapixel rear-facing stereoscopic camera with flash for image capture and 3D and HD video recording.